GLADSTONE, MO — Antioch Bible Baptist is not the largest church in the world, but it is making a difference in every corner of the globe. Each fall the suburban Kansas City house of worship hosts a “Go Global Missions Conference,” at which its members are asked to make a promise to support one of its 75 global missions, which stretch from Uruguay to the Philippines to Tanzania. The church doesn’t confine its work to overseas either; operating under the motto, “Not in the city but for the city,” it also does a great deal of outreach work closer to home. Wanting to devote its resources to these missions, the church is careful not to overspend on its main campus north of Kansas City. However music plays an important role in its two Sunday services, and its sermons are featured on live podcasts, so it needed quality sound and lighting systems to engage worshippers. It got both recently, when it upgraded its sanctuary with Stark Raving Solutions. 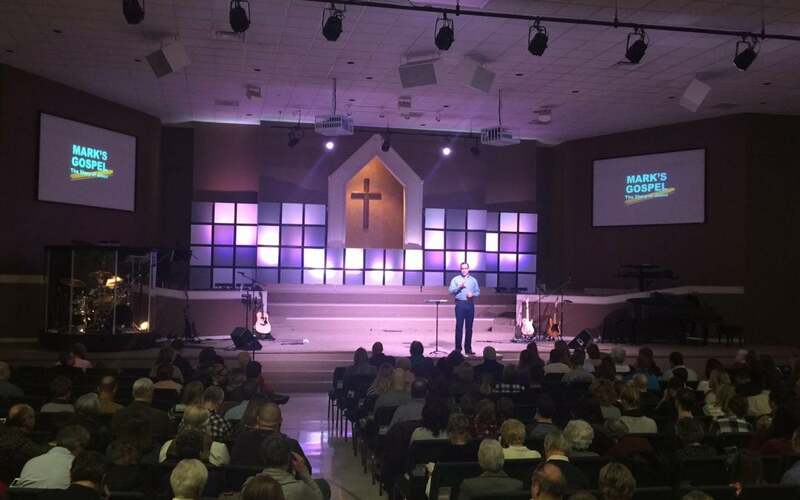 The Lenexa, Kansas, company provided the church with a cost-efficient audio system and a new broadcast and live audience-friendly lighting rig that features CHAUVET Professional COLORado fixtures. The Stark Raving team installed 10 COLORado 2-Quad Zoom Tour and 5 COLORado 1-Quad Zoom Tour fixtures at the church to replace the track lights it had been using to illuminate its stage. “We created a great transformation with the COLORados,” said Ellison. “The variety and richness of the colors we were able to get made every aspect of the service seem more alive. Ellison flew the 10 COLORado 2-Quad Zoom Tour fixtures on a 70’ pipe for front light and positioned the 5 COLORado 1-Quad Zoom Tours on upstage pipe for back lighting. These worked with COLORado batten fixtures already in the church’s rig to provide complete coverage of the stage.